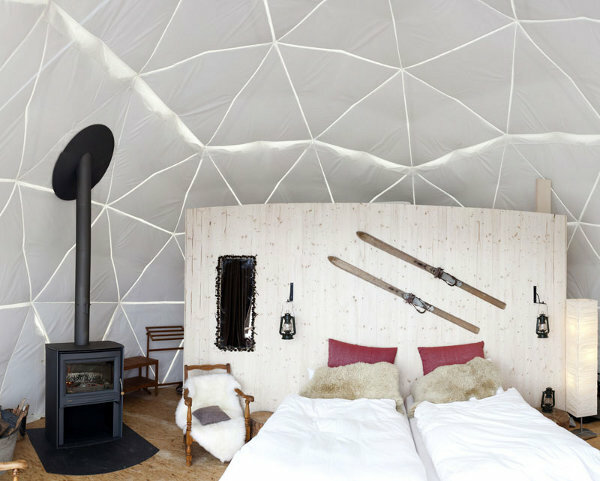 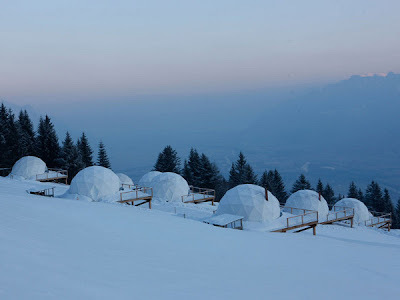 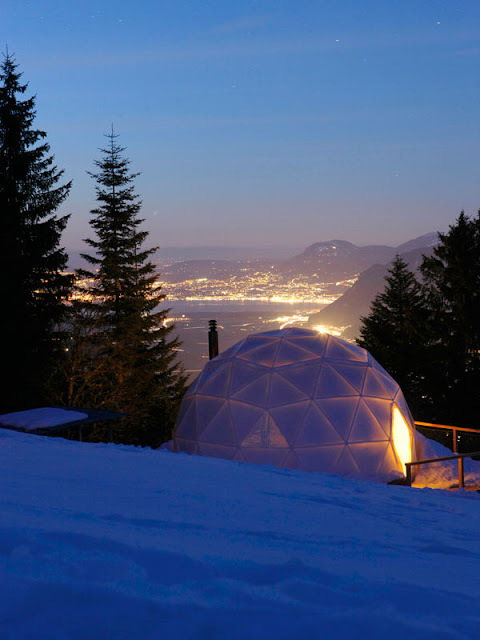 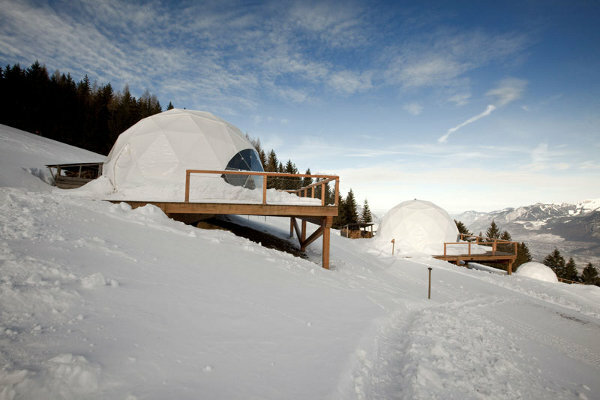 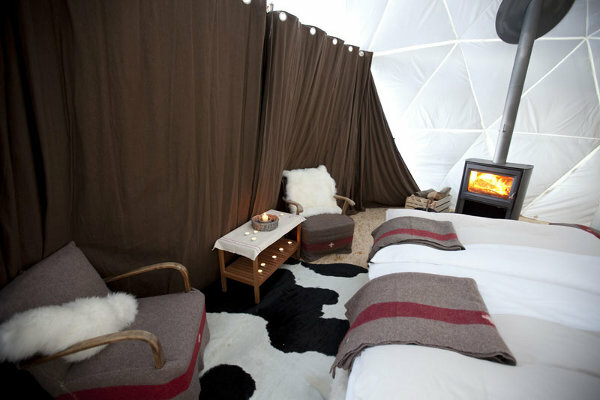 The WhitePod Ski Resort is located in the Swiss Alps, 1700 meters above sea level in the small village of Les Cerniers and includes 15 original units in the shape of small geodesic domes or igloos. 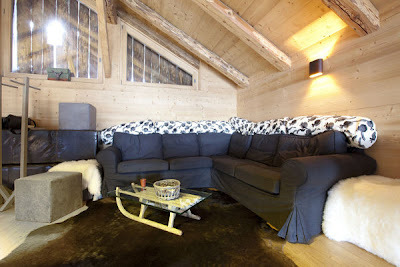 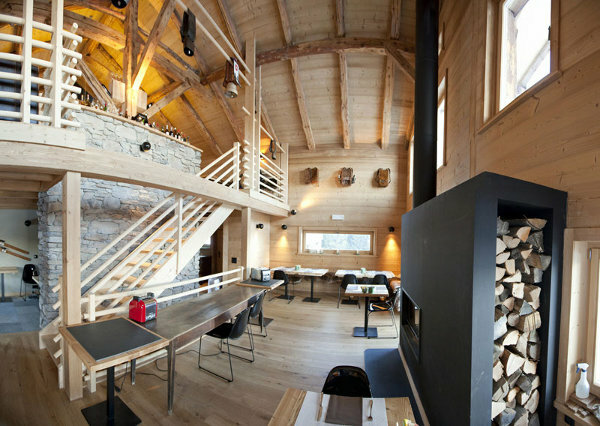 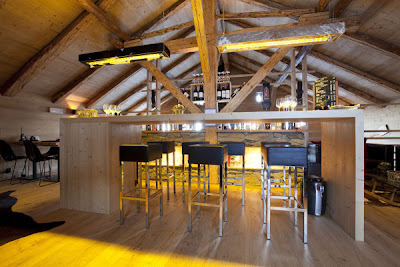 The unusual ski resort overlooks a beautiful Swiss valley and combines highly modern way of living with a traditional ideas. 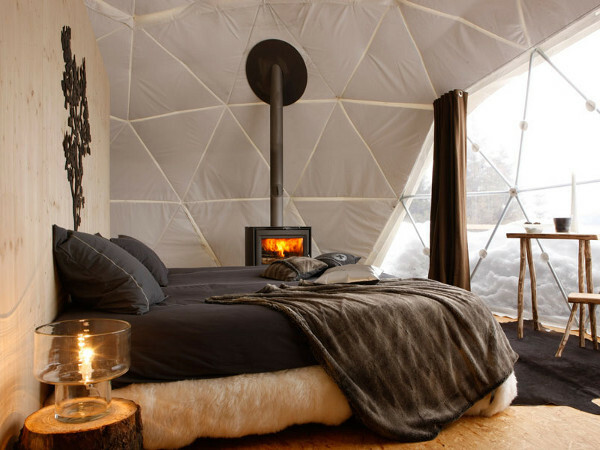 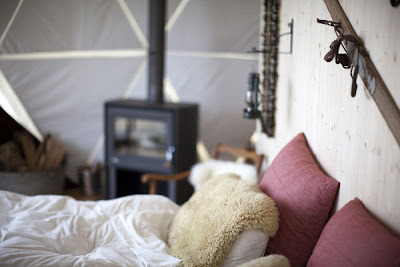 The cabins may look like typical ice homes, but in fact the units all feature a king-sized bed, a fireplace, a wide window for unobstructed views and plenty of comfort.